Those wondering why so much of the recent rain across Los Angeles was flushed out to the Pacific through a storm drain system instead of socked into the local aquifer will find part of a complicated answer in a fact sheet issued last week by the US Geological Survey. 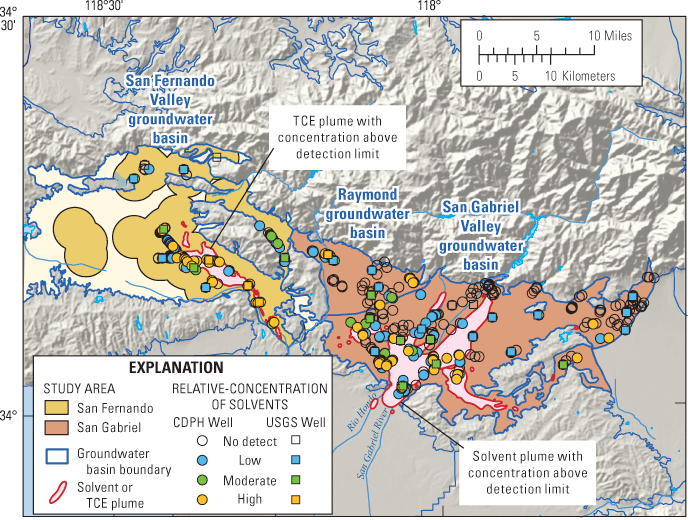 Run-off from the Transverse Ranges into the San Fernando and San Gabriel valleys hits land that the USGS classes as 83% urban, which means largely paved and impermeable. 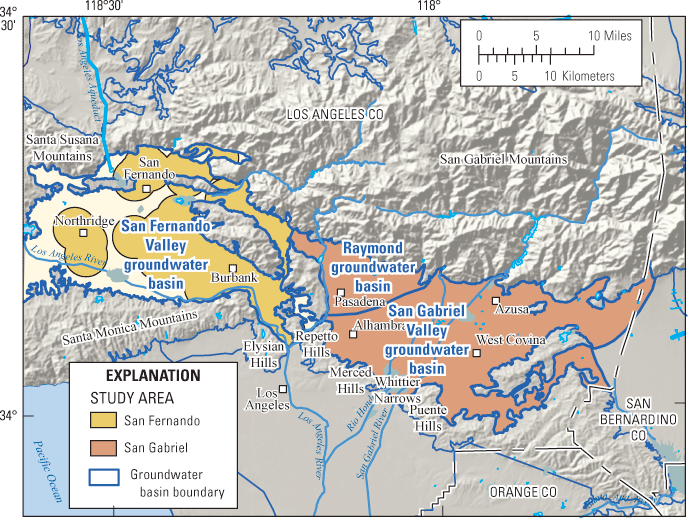 (For how a combination of arrogance and greed led to over-building of the Los Angeles flood plain, there is no better source than historian Jared Orsi’s “Hazardous Metropolis.”) Another limit on our ability to store mountain run-off in these valleys is groundwater pollution brought by that urbanization. The map below shows solvent hot spots. Hat tip to the Water Education Foundation’s Aquafornia for signalling the sheet’s publication.